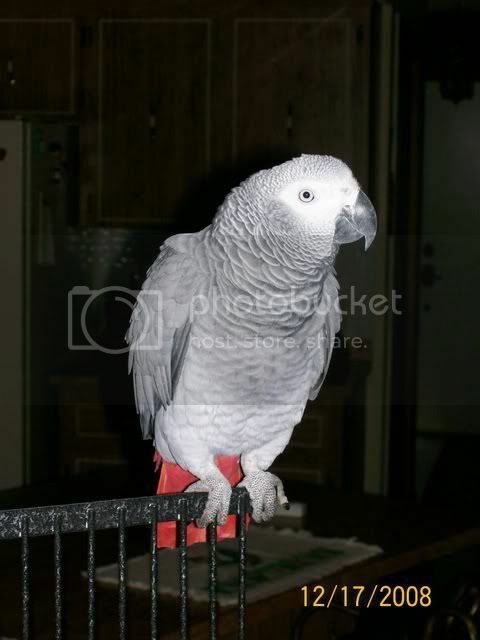 Will my African Grey talk? Greys are renowned for their talking ability. Not all Greys do talk though and the age at which they start can vary from a few months to over two years. The average age for starting is often said to be around a year. In birds, the structure that produces sound is not the larynx but the syrinx. Studies, including those of Irene Pepperberg's with Alex, suggest that sound from the syrinx is then modified by other structures in the avian vocal tract, such as the larynx, and the position of the tongue, movement of the beak and even the tilt of the head, to produce subtly different sounds. Also, the vocal tract may need to mature which is why many Greys don't achieve clear speech until they are over a year old but babble and mumble first. Greys don't just mimic; they are able to talk in context and correctly name items. They have a tendency to pick up whatever they want to and not necessarily what they hear the most. Sometimes they will repeat a word or phrase they have only heard once, especially if it is said with more emotion than mormal speech, so you do have to be careful what you say around them. They can also mimic other sounds that they hear such as alarms, water being poured, microwave ovens beeping, creaky doors etc. Some Greys will sound very much like one or more family members but others just have their own voice.